Last week, Zillow Group celebrated it’s 10th anniversary as a company, with festivities stretching, quite literally, from coast to coast. 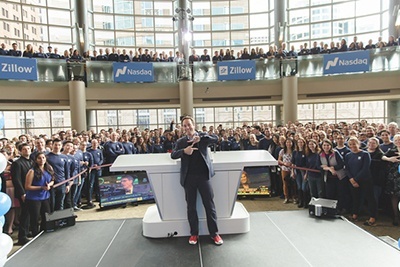 Zillow Group offices from New York City to Seattle, Vancouver, San Francisco, and Lincoln all celebrated the milestone, with a little help from NASDAQ, who allowed CEO Spencer Rascoff to ring the closing bell from Benaroya Hall in Seattle. 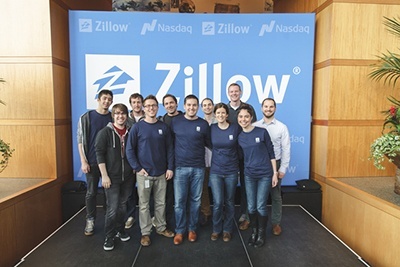 While Mortech is a little bit older than Zillow Group (we turned 28 last November), we’ve been a part of Zillow Group for over two years now, and are excited to be moving into the future with the world’s largest and most vibrant home marketplace. Check out some photos below from the festivities.